The Islamic Emirate – as a representative of the Mujahid Afghan nation and martyrdom-loving people of Kunduz – in response to the irrational comments of General Nicholson declares that you do not have the capacity to talk to the Mujahideen because you are invaders and you understand well that the valiant Afghan nation has always treated invaders such that their brains are first put in order then forced them out of their country in humiliation. 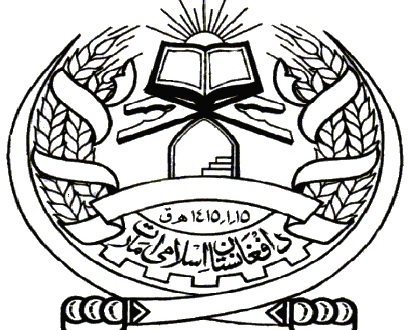 Read the history of the Afghans. It was these same Afghans who forced the much stronger economic and military powers of British and Soviet from their country through Jihad and might of the sword. Can you see anything by the name of Great Britain and Soviet Union on the face of this planet anymore? The Muslim Afghan nation views you Americans with the same eye as the invading English and Soviets and with the blessing of Jihad and help of Allah, will throw you out of their motherland in a similar fashion. We do not view the martyrdom of Mullah Abdul Salam as failure or regret but as honor and victory which has intensified the thirst for revenge of the people of Kunduz and Afghanistan. It has revealed the truthfulness of the Mujahideen and has further increased the love for Mullah Abdul Salam and his companions in the community. Understand that we are a nation that loves martyrdom in the path of Allah as you love the short life of this fleeting world. These are not our emotions or assumptions talking but are the realities which forced over one hundred and fifty thousand fully equipped troops to kneel. If you do not end this occupation and accept the lawful demands of the valiant Afghan nation then this nation (Allah willing) will force you out of Afghanistan as the commander of US and NATO forces with all your might and technology just as this resistance broke, deranged and forced out your most celebrated commanders and experienced generals.